Kilkenny (Coan) team at the All Ireland Tug O’ War Championships in Dundalk 1971. It is not confirmed whether the photograph was taken during the Semi Final or the Final. (l-r) Bobby Gee, Christy Shore, Joe McEnery, Mick Somers, Phil Purcell, Bob Shore, Paddy Moran, Martin Coogan. Photograph loaned by Michael Somers. Hypomnemata, A Memory Trace is presented in the form of an inscribed artist’ reflection on the processes of engagement and cognitive mapping in relation to an ongoing project, in two parts Heave-Ho, An Invitation To Community and Heave-Ho, Pub Pulling League based on the game Tug O’ War. 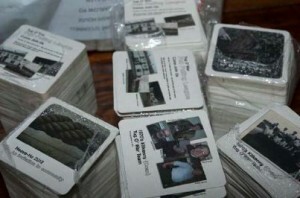 What is attempted in Heave-Ho, An Invitation To Community is to imprint onto a set of five beer mats, the history and memory trace in relation to the 1970’s Kilkenny (Coan) Tug O’ War team, the historic origin of the game and the remembered account of the All Ireland Final in 1971 along with the project’s invitation to “put the “u” back into comm nity” through the Pub Pulling League. In an effort to make visible this historical geographical legacy, the dissemination of these beer mats locally converges the past, the present with the future into the wider public sphere. Here, in this reflection as archive, lies the potential to leave further traces in the future regarding the Heave-Ho, Pub Pulling League between three local Kilkenny pubs; Brennan’s in Johnswell, Larkin’s of Cainsbridge and Sheerin’s of The Ridge. The potential of how this is / was / will be actualised can only be speculated upon at the time of going to print as the process of engagement is ongoing. All Ireland Championship 113 stone Tug O’ War medal 1971 belonging to Paddy Moran. In September 2011 I undertook a journey looking back whilst moving forwards, revisiting past projects spanning almost a twenty-year period. Looking for common threads, if any, as part of a Masters Degree in Art and Design in Social Practice and the Creative Environment at Limerick School of Art and Design, Ireland. 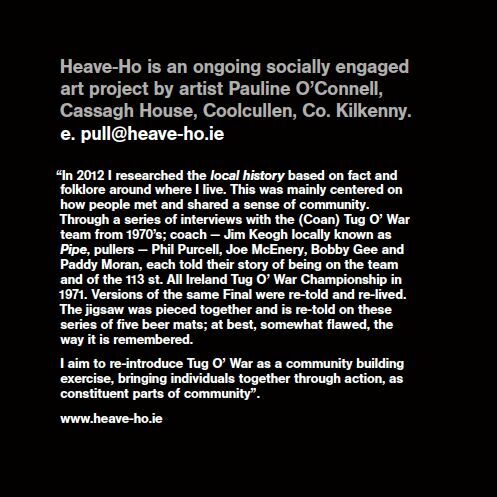 This year long critical examination of thought process has led to an ongoing socially engaged project entitled Heave-Ho which is based on the game Tug O’ War. My explorative route led me not far from where I live, in northeast County Kilkenny and neighbouring counties of Laois and Carlow. Investigating local histories, those that feed the tradition of folklore in relation to how people gathered, met and shared a common purpose in the rural locale using methods of interviewing my neighbours. I researched many historical narratives of community gathering, cross roads dancing in nearby Baunreagh, swimming at the Salmon Pool, stories about the “Disappearing Lake” and of the many “Rambling Houses”	2 there were locally, one of which I live in. But one story told to me by Jim Kehoe who is locally known as “Pipe” captured my imagination. It retells an otherwise undocumented story of a local Tug O’ War team in 1970’s from nearby Coan, Co. Kilkenny who came together to practice at the Coan “Pulling Tree,” travelling around the country to compete each Sunday and of how they lost The All Ireland Tug O’ War Championships to Clongeen, Co. Wexford in Dundalk 1971. The theoretical subject of “community” was also investigated, questioning what it is and the potential for the future of “community”, with sub themes on place, identity and the network. 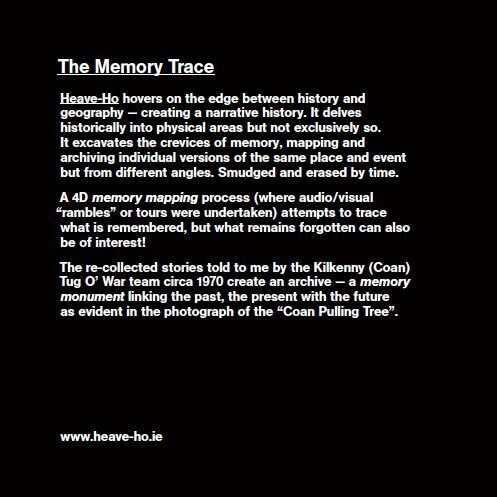 Using theory as applicable theory through the lens of the archive	3 and memory trace	4 as subjective remnants in time; past, present and future, the local story of the Tug O’ War team was critiqued. The feminist perspective was explored regarding the “actual materiality of the local”	5 providing spaces for the potential actualising of “community” — as an engagement in agonistic	6 space. 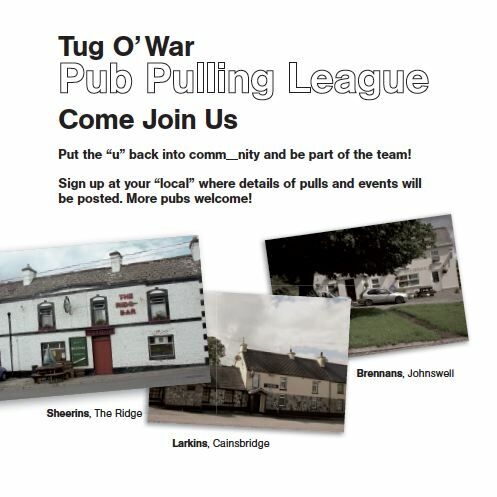 This has been distilled into an ongoing project, Heave-Ho, Pub Pulling League based on the game of Tug O’ War between three local pubs; Brennan’s in Johnswell, Larkin’s of Cainsbridge and Sheerin’s of The Ridge. 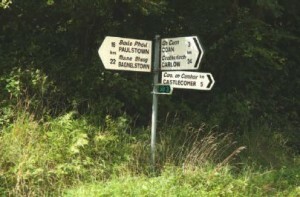 Undertaking drives reminiscent of the legendary Sunday Drive — this flaneury	7 known as “rambling” in the locale of northeast County Kilkenny was also a subject of research. A 4D mapping process of interviewing “the locals” in the locale created a type of geo-tagging of memories in the geography of place. 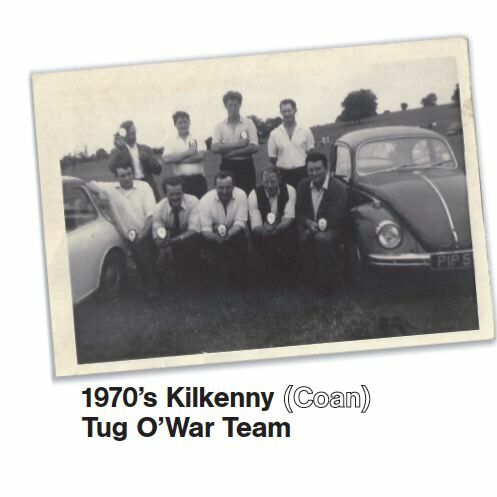 I interviewed the five remaining 1970’s Kilkenny (Coan) Tug O’ War Team members; Jim Kehoe (coach), Bobby Gee, Joe McEnery, Paddy Moran and Phil Purcell. Collecting a huge amount of information on their recollections, mapping and archiving individual versions of the same place and event but from different angles. The retelling of stories of the disappearing rope in the Semi Final, the unfair rescheduling of the Semi Final to be held immediately before the All Ireland Final, in Dundalk and the almost fictional story of the longest ever recorded pull of 47 minutes. This resulted in the team being too exhausted and having to concede the title to Clongeen. In the present they can only speculative on what could have been and recount their disappointment as the winning team reportedly went on to win the World Tug O’ War Championships. As part of the research I sourced information from areas geographical, sociological, philosophical, psychological, socio political and from art theory, using Google searches, Google docs, Skype, the local library and parish records. I underwent many peer critiques through power point presentations and telephone conversations examining my processes of engagement. On the ground informal discussions, meetings and interviews were held at the local pubs between myself the landlords and the customers. Posters about the project positing the invitation to Heave-Ho and be part of the Pub Pulling League were advertised in each pub. The resulting sign up is nearly thirty men. A series of practice pulls were scheduled but were cancelled due to the wet ground conditions. Some practices have taken place in participating farmer’s fields with more to be rescheduled. The Heave-Ho, Pub Pulling Team from Sheerin’s Bar as part of their first practice partook in a field day where they won the Leighlinbridge, Field Day Tug O’ War Cup. The process of social engagement has well begun, the team practices are being archived in the present and the League play offs are in the process of being organised. 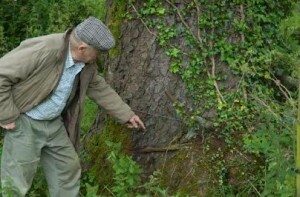 Jim Kehoe at the Coan “Pulling Tree” coordinates 52º 46' 24"N 7º 12' 49" W.
Signpost for Coan taken from the New Line. The stimulus for researching what a place-based identity is, upon reflection due to a displacement. My bi-locational existence from artist, partner, mother in the rural to a somewhat autonomous student in the urban in 2011 – 2012, travelling from my home in rural Kilkenny to the urban inner city of Limerick three days per week. Perhaps too my “blow-back”	8 status to Kilkenny, not to the city where I grew up but to a rural area nine years ago has prompted this enquiry. The methodology utilised by Kevin Lynch	10 regarding the image of the environment (relating to the urban) found that subjective interpretation is reliant upon the body personal. Anchoring it in feminist theory no doubt contributes to how we measure and view our surroundings, from a personal vantage point both physically and conceptually. So why is it so important to make a link with history? In Lucy Lippard’s book The Lure of the Local; Senses of Place in a Multicentered Society, she presents a holistic vision of place as reflecting back on humankind, a “sense of identity (that) is fundamentally tied to our relationship to places and the histories they embody.” What then makes place and the moulding of identity “authentic” or more meaningful? Some may say a parochial sense of the local. This knowledge of place means that there is an historic reference point symbolising the corner, the bend of road, the old house, that which has been embedded with meaning. 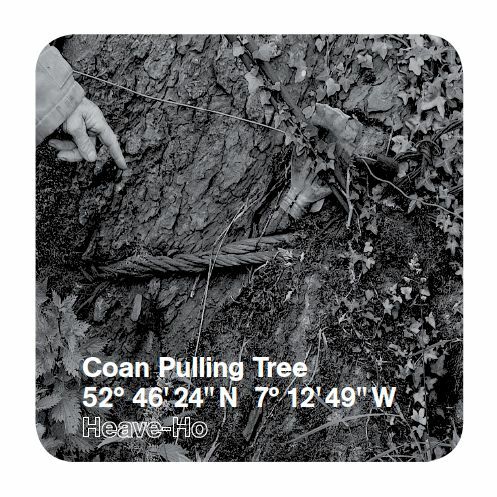 When viewing the Coan “Pulling Tree” coordinates 52º 46' 24"N 7º 12' 49" W in northeast County Kilkenny as the place where the Tug O’ War team practiced many years ago, conjures a deeper meaning of place as opposed to merely viewing a tree with no such history. The physical traces left behind remain evident. There, a steel rope and pulley system are being swallowed by time, being ingested by the tree itself, a taking back if you will, of what was inflicted on it through the practice method of pulling on a rope. This knowledge has endowded it with value, the historic narrative has transformed the tree, giving meaning to place. But what is at stake here is how it will be viewed in the future? Lippard comments on global contemporary lifestyles stating “the uprooting of our lives from specific local cultures and places — through voluntary migrations or forced displacements has contributed to the waning of our abilities to locate ourselves.”	16 This outlined deficiency in locating self can result in a disconnect from the world, past, present and future. To nature, creating phenomological voids and a lacking value system. Indeed Gilles Deleuze and Felix Guatarri have outlined the nomadic tendencies of our existence in A Thousand Plateaus. 17 Resulting in the rhizomic questions we endeavor to posit today in relation to “community”. Our multi-centered global position has provoked this enquiry conflating place, identity, belonging and “community” linking local and global. 19 At a time when the global economy has imploded and that shared residue (acknowledging the uneven geographies of that economy)	20 is what lies at the heart of our human re-invention and true survival is yet to be played out. For the social practictioner to posit this question about what a place based identity is, is to trouble the notion of “local” as this local is simultaneously global, with wider implications in the future for the improbability of a truly indigenous culture. The Heave-Ho, Pub Pulling League Perpetual Cup 2012, commissioned by Pauline O’Connell and made by Welsh Artist Paul Roche. 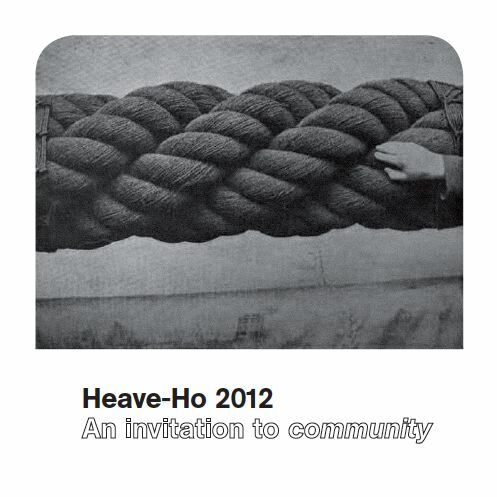 Heave-Ho, An Invitation to Community hovers on the edge between history, geography and psychology. This project delves historically into geographical areas but not exclusively so. 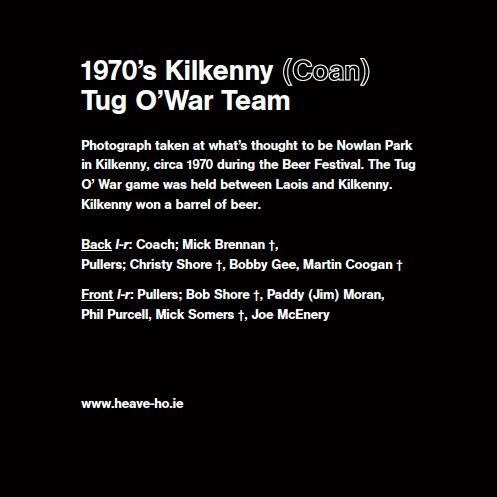 The interviews with the remaining members of the 1970’s Kilkenny (Coan) Tug O’ War team excavate the crevices of memory, mapping and archiving five individual versions of the same place and event but from five different angles. These recollections, smudged and erased by time offer a system of complimentary remembering (anamnesia) and forgetting (disremembering), providing a subjective value and slippage system. A series of five interviews were undertaken from May to July 2012. The method of inscribing was digital, both audio recording and photography. The photographic image acts as the remnant of the encounter between myself as photographer with the photographed person. The audio archives the nuances of language and remembering, capturing how time has affected both the physical and the metaphysical. 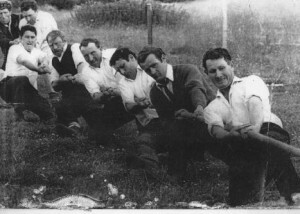 (from top, l–r) Phil Purcell holding a photograph of the Coan Tug O’ War team, Paddy Moran, Bobby Gee and Jim Kehoe, Joe McEnery. The following extracts are from my notebook diary and detail a synopsis of what is remembered. 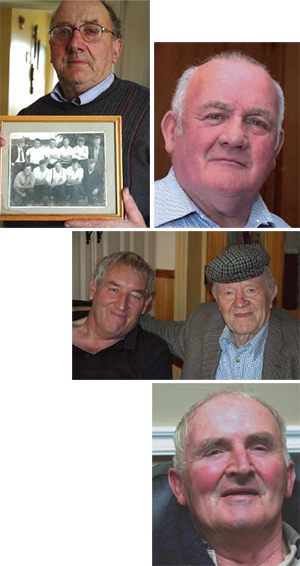 Phil Purcell — Interview with Phil Purcell on 9th May at his home near Coan, Co. Kilkenny accompanied by Jim Kehoe (Pipe) who was the Tug O’ War coach. He is the first of the original “pullers” to be interviewed. His remembered version is that Coan beat Coolrain in the Semi Final in Dundalk but it is unclear from the interview whether the 47 minute pull happened in the Semi or Final or whether Coan actually pulled in the final. There was agreement with Jim Kehoe however through his silence. I could re-visit him and question him in further detail but this would break the coherence of the single interview. Joe McEnery — I phoned Joe McEnery (a week before) to make an arrangement to interview him at his home near Ballyroan, Co. Laois. I arrived at 8.30 pm on 5th June, his daughter Ita and his grandson Sean Luke were present. His remembered version is that Coan won the Semi Final in Dundalk against Bord na Mona after a 47 minute pull. He cannot remember if they actually pulled in the Final with Clongeen. Bobby Gee — With Jim Kehoe (Pipe) I travelled to Bobby Gee’s house near Timahoe, Co Laois on 8th July. Unannounced (as no one had his contact) we couldn’t find his house and got lost, we sought directions and “rambled” until we found him. The conversation was mainly between the two team mates with directed questions asked by me. His remembered version is that Coan beat Coolrain in the Semi Final in Dundalk after a 47minute pull and Coan had one pull with Clongeen in the Final. Paddy Moran — I called to see Paddy Moran in Ballyroan, Co Laois (who is called “Jim” by his team mates) on Friday night 20th July but he wasn’t at home. I spoke to his wife, so in a way he was forewarned and had time to think about the old Tug O’ War times. When we met (the following day) he showed me his Tug O’ War All Ireland Championship medal and the Leinster Championship Cup which he won in 1971. The youngest on the team, his position was at the front of the rope. His remembered version was that Coan beat Coolrain in the Semi Final. 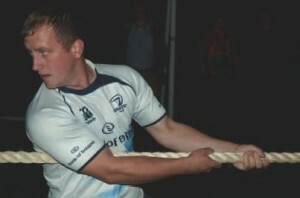 The 47 minute pull was the first pull with Clongeen in the Final then Coan conceded at the second pull. Jim Kehoe — I interviewed Jim Kehoe in conversation with Phil Purcell 9th May and Bobby Gee 8th July 2012. His remembered version is that Coan beat Coolrain in the Semi Final in Dundalk after a 47minute “pull”. But they had no “pull” with Clongeen in the Final and merely posed for a photograph of the two teams together “on the rope. Kilkenny (Coan) Tug O’ War team photographed after winning the Leinster Tug O’ War Championship 1971 in Bennettsbridge, Co. Kilkenny. Photograph taken whilst interviewing Phil Purcell at his home. The second hand testimonials relayed here offer five differing versions of the same place and event, a synopsis of what was told to me via methods of remembrance and storytelling. The jigsaw of information was slowly pieced together but over time confusion and the disparity between these stories became evident. Unlike as Freud says “The historian [who] never looks to the future, which in the end does not concern him.”	21 I have attempted here to locate presence (the reality of time affecting memory) even through absence. What is forgotten opens out into the future thus enabling the space for a collapsing of facts, fictions and folklore that can fuel imaginations to come. Freud’s hypothesis on “virtual archives”	22 in relation to their remembrance here questions how the spectral traces of memory will forever remain spectral? But the recording here is akin to “making a copy from a copy (a repetition upon repetition, making a link with the past / the original)” leading to a residual trace or impression remaining”	23 as evident here in their forgetting. It still has an original within it but this has been affected by time, in turn becoming somewhat virtual. In Freud’s “A note upon the “Mystic Writing Pad”	24 he starts his essay by saying; “if I distrust my memory … I am able to supplement and guarantee it’s working by making a note in writing.” He explores two crucial aspects of memory; one, dealing with the recording and inscription of information and two, the storage and retrieval of such. The methodologies used in this project of retrieval were recorded orally and photographically, the recorded memory may be amateur (not in true archaeological fashion), it may not be accurate, perhaps even faulty — the way it is remembered! 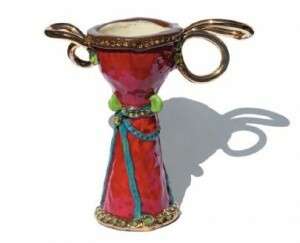 It does however provide a creative history, thus reflecting and acknowledging the subjective hierarchy within memory. A trace that is being retrieved and recorded, recorded (in this book) and (is being) retrieved (by you the reader) in this text. A 4D memory mapping process (where audio / visual “rambles” or tours were undertaken) attempts to trace what is remembered, but what remains forgotten is also be of interest! The remembered stories told by the five team members create a memory monument linking the past, the present with the future. This offers a potential (in the future) for participation, to engage, not just physically, but to engage with (and reflect on) the invitation to “put the “u” back into comm nity.” To engage in the “local” through the (re) introduction of a Tug O’ War, Heave-Ho, Pub Pulling	25 League between three local pubs — Brennan’s, Larkin’s and Sheerin’s. 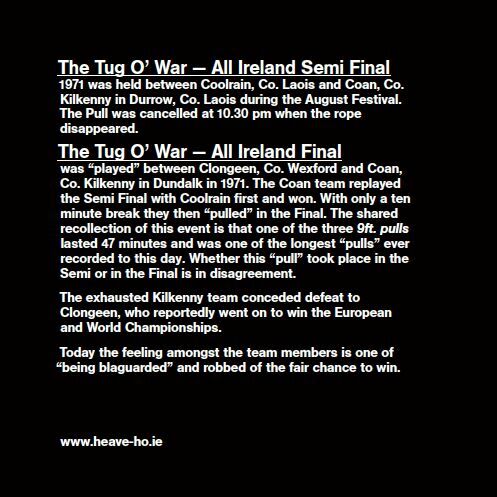 The facts, fiction and folklore converge onto each other in the form of five beer mats, inscribed with the history of Tug O’ War, the 1970’s Kilkenny (Coan) Tug O’ War team and their subjective remembrance all centered around the All Ireland Tug O’ War Championship in 1971. 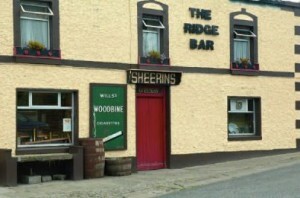 Sheerin’s The Ridge Bar, The Butts, Co. Carlow. 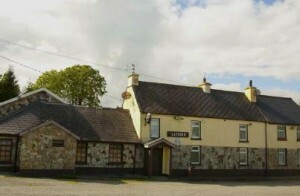 Larkin’s Bar, Cainsbridge, Co. Kilkenny. 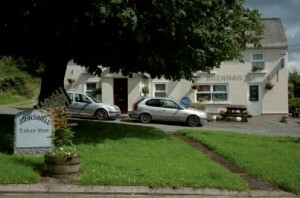 Brennan’s Bar, Johnswell, Co. Kilkenny. 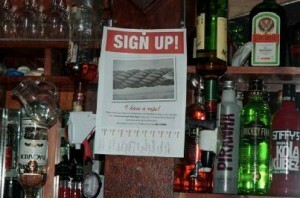 Sign up form in Sheerin’s Bar. John Farrell, Sheerin’s Heave-Ho team member. Unpacking the consignment of 5000 Heave-Ho beer mats. Upon reading Archive Fever, A Freudian Impression by Jacques Derrida at the recommendation of Greg Sholette,	26 I endeavoured to highlight words and sentences thought to be of importance, underlining and using colour to mark out their relevance. Upon many sittings this action was undertaken and at the end a revisitation of the whole text was made. A real discovery of how time affects the record (and the efforts of remembering) was made visible when I saw the initial highlights vastly changed; weakened in saturation, by, only what I can account for, as time. Was this an extension of the Freudian “Mystic Writing Pad,” that, supplementing the process of aiding remembering? Was the grading of importance other that what Freud or Derrida wanted me to inscribe? I am not sure, perhaps this is easily answered, but I don’t care to know. It is not important to me. What is important however, is the exploration of Freud’s and Derrida’s investigation into the archive and how I found myself embedded in more than what was theoretical. Embedded in the reality of the archive as having a voice talking back to me, self-inscribing itself. By definition the Greek origin of the word “archive”, Arkheion means “a house, a domicile, an address, the residence of the superior magistrates, the archons [were] those who commanded (the archive).”	27 According to Freud archives could not exist without this residence, this “place of consignation”	28 which marks the institution and the passage from private to public. Therefore for an archive to exist it has to be deposited somewhere for safekeeping, to be consigned to somewhere, like here in this text, this record, this reflection. What is attempted here, though, is not only to inscribe subjective memory. My aim is not to form a hierarchy, but in turn, to open out a democratic	29 space for the archive to exist. I do not consider myself the archon, the protector of the archive, as this would enclose the archive without consideration of the exterior/outside, audience and future. 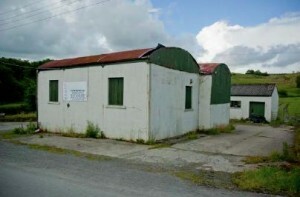 The aim here is embedded both locally and globally in the subject of “community.” The memory trace (the remembrance) and the archive (memorialisation) conflate here in the story of the 1970’s Kilkenny (Coan) Tug O’ War team, a local team whose silent memories have been excavated some 41 years later. Not looking at the archive as an absolute	30 excavation of memory in itself, a search for a story and the retelling of it. It traverses across three time zones thus forming a structure for this enquiry; the past / present, present / present and future / present. 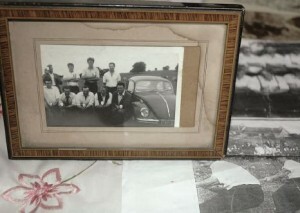 The past / present as the excavation of memory in the present — detouring via the past. The present / present as the now perspective — the bodily engagement from which to measure. The future / present which projects into the future to where this archive will potentially go. It offers you the reader the potential to question how this reflection, that, which is archived will be interpreted. This archive affects all three time zones, therefore not rooting it in the past. Memory is “spontaneous” according to Freud and this differs from the archive. But where the archive does take place, he says, is, at the point where it is being attempted to be recalled, actively retrieved and remembered. 31 The methodologies of interviewing has activated this “spontaneous” memory, but this was not consigned to anywhere except a recording device and a digital camera. I was the custodian of the archive but wishing to breakdown any institutional hierarchy it was necessary to consign and disseminate the memory archive as democratically as possible in the public sphere. The chosen creative medium relates to the less institutional game of Tug O’ War known in Ireland as “Pub Pulling.” In the form of five beer mats, the ten sides archive both text and visual information. These act as artworks, though are not intended to be artefacts. The art is embedded in the social relations they afford the participants, opening out invitational spaces for discourse. 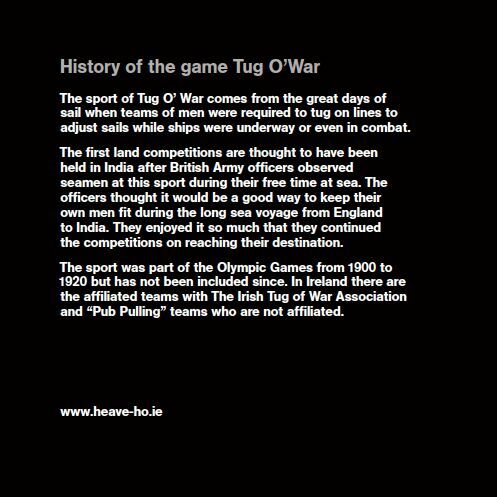 They consign the past / present, present / present and future / present through the history of the game — originating at sea when British sailors tugged at ropes, the local history of the 1970’s Kilkenny (Coan) Tug O’ War team, in the present — locating evidence of the Coan “Pulling Tree” the remembrances of the All Ireland Final in 1971. It offers in the future the potential to Heave-Ho through the Pub Pulling League between three local pubs Brennan’s in Johnswell, Larkin’s of Cainsbridge and Sheerin’s of the Ridge. The edition of 5000 beer mats have been disseminated throughout the wider community via the original team and their family members, the thirty “new” team members and through the three participating pubs, into the wider public sphere. The archive is also consigned here in this reflection, the underlying political, theoretical and social implications, imprinted here in the form of a hypomnemata. 32 There are predicaments here in this text though, namely relating to projects as ongoing projects. The question is how can one commit decisively and consign correctly. A blog could address this, though a constant revisiting and reworking may result in an inability to consign. The textural quality that is found in a book and the participatory engagement required is my preferred format for inscribing and consigning my reflection here. Though I must admit that the rigour with which to make legible the processes of research and engagement are only evident to a point. What is not included is the actualisation of the Heave-Ho, Pub Pulling League, yet to be directed, experienced and speculated upon. One has to acknowledge the open ended archive, the speculative nature of where this may go, a perpetual archive in the making that offers a future, or as Freud calls it the “Messianic”	33 hope of something yet “to come.”	34 True for a process where, at the point of going to print the importance of inscribing everything in its’ minutiae is irrelevant (to myself as artist, anyway). Thus affording space for the continuation of (invisible) memory archives to come that traverse between fact, fiction and folklore. Heave-Ho, Pub Pulling League when actualised will operate in the rural public domain, creating a space where dialogue and social engagement can occur. Brought into action only for the occasion this “community” social being	38 experiment is a move away from normative art production and is implicit with scales of success and failure. I am in agreement with Claire Bishop when she says that in order to develop a non-hierarchical relationship between the artist, art and audience, it is necessary to “collapse the distinction between performer and audience, professional and amateur, production and reception”	39. This resulting “aesthetic of participation”	40 allowing for the agonistic	41 dynamic in the public / political sphere is at the core of what is attempted here in Heave-Ho, Pub Pulling League. Whether this project is envisaged as emancipatory or revelatory is not applicable here, as that would place me, as artist, in a curative role and make an assumption that something is broken. This explorative process, taking many directions, was grounded by the fact that I now live in that locale of northeast Co. Kilkenny since 2003, an area just 7.5 miles from Kilkenny city but 900 ft. above sea level. Perhaps my question of what “community” is and could be in the future is a question of me relocating an embodied	42 self in the rural. Heave-Ho is in the process of creating a repository or memory vessel offering spaces for activation in relation to something valid and of social worth. It offers an opportunity to imaginatively interpret something unseen, forgotten about and buried, an identity of place, people, a sense of connected belonging adding meaning. It is within self, the collaborative practice of “I” selves that form the collective “We,” which forms the foundation of “community”. Pauline O’Connell would like to thank everyone who assisted in the making of this project and book. 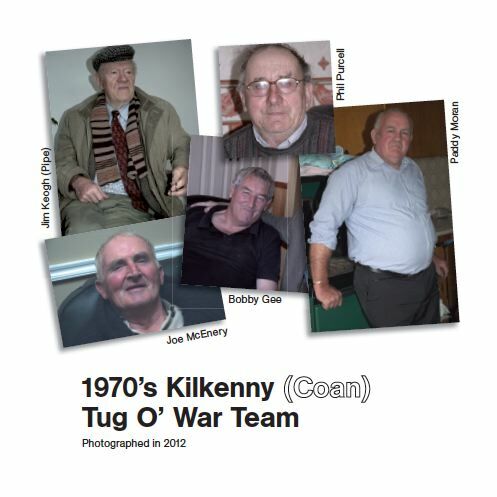 This project would not have happened without the continued support and collaboration of the main contributors who were the stimulus for the project, the five 1970’s Kilkenny (Coan) Tug O’ War team members with special thanks to Jim Kehoe, Bobby Gee, Joe McEnery, Paddy Moran and Phil Purcell. Special thanks to the participating public houses and their respective proprietors Ann Brennan from Brennan’s Bar in Johnswell, Paul and Ann Mullen from Larkin’s Bar in Cainsbridge, Rory Sheerin from Sheerin’s of the Ridge for your patience and continued support. Thank you to the new Heave-Ho, Pub Pulling League team members for continuing to highlight the potential of individuals in unison, making “community”. To my fellow colleagues in MA-SPACE with special thanks to Beatrice Goggin and Walter Salmon, David Brancaleone, Marilyn Lennon, Paul Tarpey and Sean Taylor. Thank you sincerely to Eamon Colman without whom this would not be possible, to Reuben Colman for your understanding and to David Smith and Sarah Fox at Atelier.